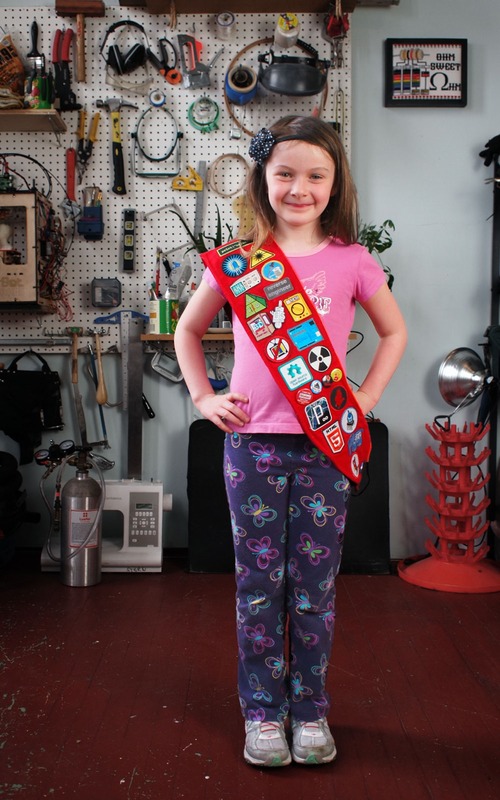 23 new badges in science, technology, engineering, and math (STEM) @girlscouts @SylviaAcevedo « Adafruit Industries – Makers, hackers, artists, designers and engineers! Girl Scout Blog: Why Girl Scouts, Why Now. Today, GSUSA introduced 23 new badges in science, technology, engineering, and math (STEM) and the outdoors—our largest programming rollout in almost a decade!Girl Scouts will be able to design robots and racecars, go on environmentally conscious camping trips, create algorithms, collect data in the great outdoors, try their hand at engineering, and so much more. And the best part? These new badges are girl-tested and girl-approved! The new Girl Scout programming builds girls’ skills and encourages their interest in STEM and environmental conservation from an early age—areas girls are not typically encouraged to explore outside Girl Scouting—increasing their confidence in an all-girl, girl-led environment where they feel comfortable to try new things, take appropriate risks, and learn from failure. GSUSA created select badges with contributions from notable organizations in the STEM and outdoor industries, such as GoldieBlox, WGBH/Design Squad, the Society of Women Engineers, the Leave No Trace Center for Outdoor Ethics, Code.org, and SciStarter. Read more. Badges are here in Badge Explorer. And check out Lead like a Girl Scout. And here are the Adafruit Skill badges! & guide.